Uniting and Strengthening America by Providing Appropriate Tools Required to Intercept and Obstruct Terrorism (USA PATRIOT ACT) Act of 2001 - Title I: Enhancing Domestic Security Against Terrorism - Establishes in the Treasury the Counterterrorism Fund. (Sec. 103) Authorizes appropriations for the Federal Bureau of Investigation's (FBI) Technical Support Center. Title II: Enhanced Surveillance Procedures - Amends the Federal criminal code to authorize the interception of wire, oral, and electronic communications for the production of evidence of: (1) specified chemical weapons or terrorism offenses; and (2) computer fraud and abuse. Title III: International Money Laundering Abatement and Anti-Terrorist Financing Act of 2001 - International Money Laundering Abatement and Financial Anti-Terrorism Act of 2001- Sunsets this Act after the first day of FY 2005 if Congress enacts a specified joint resolution to that effect. Subtitle A: International Counter Money Laundering and Related Measures - Amends Federal law governing monetary transactions to prescribe procedural guidelines under which the Secretary of the Treasury (the Secretary) may require domestic financial institutions and agencies to take specified measures if the Secretary finds that reasonable grounds exist for concluding that jurisdictions, financia1 institutions, types of accounts, or transactions operating outside or within the United States, are of primary money laundering concern. Includes mandatory disclosure of specified information relating to certain correspondent accounts. Subtitle B: Bank Secrecy Act Amendments and Related Improvements - Amends Federal law known as the Bank Secrecy Act to revise requirements for civil liability immunity for voluntary financial institution disclosure of suspicious activities. Authorizes the inclusion of suspicions of illegal activity in written employment references. Amends the Fair Credit Reporting Act to require a consumer reporting agency to furnish all information in a consumer's file to a government agency upon certification that the records are relevant to intelligence or counterintelligence activities related to international terrorism. Subtitle C: Currency Crimes - Establishes as a bulk cash smuggling felony the knowing concealment and attempted transport (or transfer) across U.S. borders of currency and monetary instruments in excess of $10,000, with intent to evade specified currency reporting requirements. (Sec. 372) Changes from discretionary to mandatory a court's authority to order, as part of a criminal sentence, forfeiture of all property involved in certain currency reporting offenses. Leaves a court discretion to order civil forfeitures in money laundering cases. Title IV: Protecting the Border - Subtitle A: Protecting the Northern Border - Authorizes the Attorney General to waive certain Immigration and Naturalization Service (INS) personnel caps with respect to ensuring security needs on the Northern border. (Sec. 405) Directs the Attorney General to report on the feasibility of enhancing the Integrated Automated Fingerprint Identification System and other identification systems to better identify foreign individuals in connection with U.S. or foreign criminal investigations before issuance of a visa to, or permitting such person's entry or exit from, the United States. Authorizes appropriations. 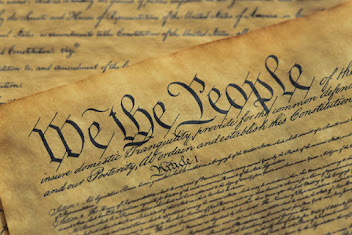 Subtitle B: Enhanced Immigration Provisions - Amends the Immigration and Nationality Act to broaden the scope of aliens ineligible for admission or deportable due to terrorist activities to include an alien who: (1) is a representative of a political, social, or similar group whose political endorsement of terrorist acts undermines U.S. antiterrorist efforts; (2) has used a position of prominence to endorse terrorist activity, or to persuade others to support such activity in a way that undermines U.S. antiterrorist efforts (or the child or spouse of such an alien under specified circumstances); or (3) has been associated with a terrorist organization and intends to engage in threatening activities while in the United States. (Sec. 411) Includes within the definition of "terrorist activity" the use of any weapon or dangerous device. Redefines "engage in terrorist activity" to mean, in an individual capacity or as a member of an organization, to: (1) commit or to incite to commit, under circumstances indicating an intention to cause death or serious bodily injury, a terrorist activity; (2) prepare or plan a terrorist activity; (3) gather information on potential targets for terrorist activity; (4) solicit funds or other things of value for a terrorist activity or a terrorist organization (with an exception for lack of knowledge); (5) solicit any individual to engage in prohibited conduct or for terrorist organization membership (with an exception for lack of knowledge); or (6) commit an act that the actor knows, or reasonably should know, affords material support, including a safe house, transportation, communications, funds, transfer of funds or other material financial benefit, false documentation or identification, weapons (including chemical, biological, or radiological weapons), explosives, or training for the commission of a terrorist activity; to any individual who the actor knows or reasonably should know has committed or plans to commit a terrorist activity; or to a terrorist organization (with an exception for lack of knowledge). Defines "terrorist organization" as a group: (1) designated under the Immigration and Nationality Act or by the Secretary of State; or (2) a group of two or more individuals, whether related or not, which engages in terrorist-related activities. Subtitle C: Preservation of Immigration Benefits for Victims of Terrorism - Authorizes the Attorney General to provide permanent resident status through the special immigrant program to an alien (and spouse, child, or grandparent under specified circumstances) who was the beneficiary of a petition filed on or before September 11, 2001, to grant the alien permanent residence as an employer-sponsored immigrant or of an application for labor certification if the petition or application was rendered null because of the disability of the beneficiary or loss of employment due to physical damage to, or destruction of, the business of the petitioner or applicant as a direct result of the terrorist attacks on September 11, 2001 (September attacks), or because of the death of the petitioner or applicant as a direct result of such attacks. (Sec. 423) Waives, under specified circumstances, the requirement that an alien spouse (and child) of a U.S. citizen must have been married for at least two years prior to such citizen's death in order to maintain immediate relative status if such citizen died as a direct result of the September attacks. Provides for: (1) continued family-sponsored immigrant eligibility for the spouse, child, or unmarried son or daughter of a permanent resident who died as a direct result of such attacks; and (2) continued eligibility for adjustment of status for the spouse and child of an employment-based immigrant who died similarly. (Sec. 424) Amends the Immigration and Nationality Act to extend the visa categorization of "child" for aliens with petitions filed on or before September 11, 2001, for aliens whose 21st birthday is in September 2001 (90 days), or after September 2001 (45 days). 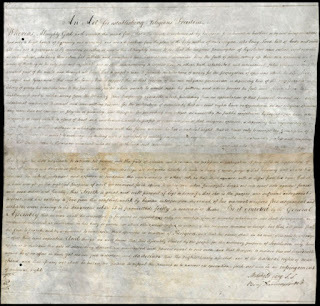 Title V: Removing Obstacles to Investigating Terrorism - Authorizes the Attorney General to pay rewards from available funds pursuant to public advertisements for assistance to DOJ to combat terrorism and defend the Nation against terrorist acts, in accordance with procedures and regulations established or issued by the Attorney General, subject to specified conditions, including a prohibition against any such reward of $250,000 or more from being made or offered without the personal approval of either the Attorney General or the President. Title VI: Providing for Victims of Terrorism, Public Safety Officers, and Their Families - Subtitle A: Aid to Families of Public Safety Officers - Provides for expedited payments for: (1) public safety officers involved in the prevention, investigation, rescue, or recovery efforts related to a terrorist attack; and (2) heroic public safety officers. Increases Public Safety Officers Benefit Program payments. Subtitle B: Amendments to the Victims of Crime Act of 1984 - Amends the Victims of Crime Act of 1984 to: (1) revise provisions regarding the allocation of funds for compensation and assistance, location of compensable crime, and the relationship of crime victim compensation to means-tested Federal benefit programs and to the September 11th victim compensation fund; and (2) establish an antiterrorism emergency reserve in the Victims of Crime Fund. Title VII: Increased Information Sharing for Critical Infrastructure Protection - Amends the Omnibus Crime Control and Safe Streets Act of 1968 to extend Bureau of Justice Assistance regional information sharing system grants to systems that enhance the investigation and prosecution abilities of participating Federal, State, and local law enforcement agencies in addressing multi-jurisdictional terrorist conspiracies and activities. Authorizes appropriations. Title VIII: Strengthening the Criminal Laws Against Terrorism - Amends the Federal criminal code to prohibit specific terrorist acts or otherwise destructive, disruptive, or violent acts against mass transportation vehicles, ferries, providers, employees, passengers, or operating systems. (Sec. 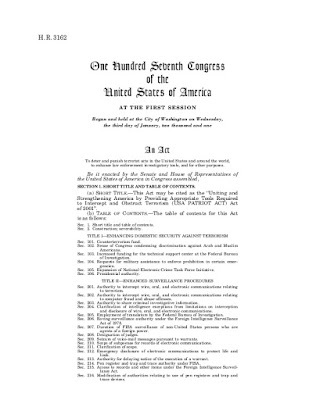 802) Amends the Federal criminal code to: (1) revise the definition of "international terrorism" to include activities that appear to be intended to affect the conduct of government by mass destruction; and (2) define "domestic terrorism" as activities that occur primarily within U.S. jurisdiction, that involve criminal acts dangerous to human life, and that appear to be intended to intimidate or coerce a civilian population, to influence government policy by intimidation or coercion, or to affect government conduct by mass destruction, assassination, or kidnapping. Title IX: Improved Intelligence - Amends the National Security Act of 1947 to require the Director of Central Intelligence (DCI) to establish requirements and priorities for foreign intelligence collected under the Foreign Intelligence Surveillance Act of 1978 and to provide assistance to the Attorney General (AG) to ensure that information derived from electronic surveillance or physical searches is disseminated for efficient and effective foreign intelligence purposes. Requires the inclusion of international terrorist activities within the scope of foreign intelligence under such Act. Title X: Miscellaneous - Directs the Inspector General of the Department of Justice to designate one official to review allegations of abuse of civil rights, civil liberties, and racial and ethnic profiling by government employees and officials. (Sec. 1005) First Responders Assistance Act - Directs the Attorney General to make grants to State and local governments to improve the ability of State and local law enforcement, fire department, and first responders to respond to and prevent acts of terrorism. Authorizes appropriations. (Sec. 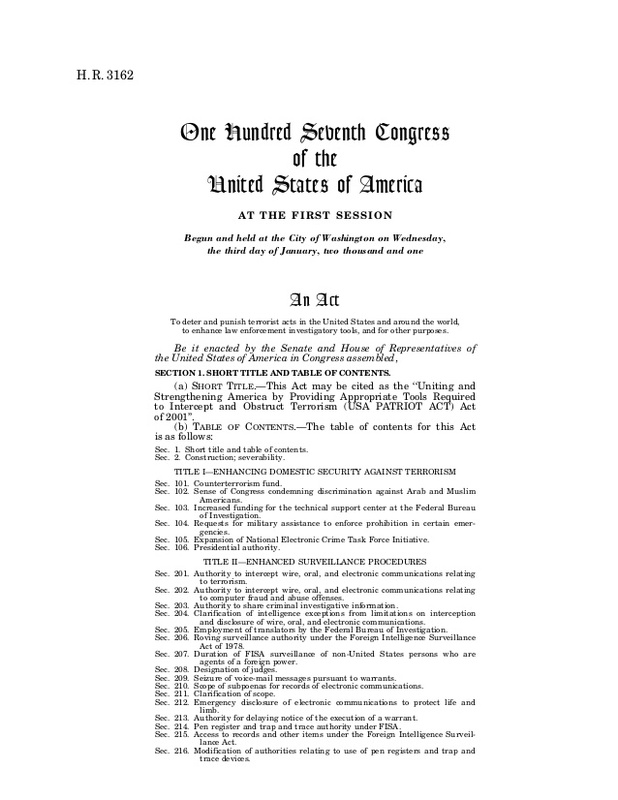 1011) Crimes Against Charitable Americans Act of 2001 - Amends the Telemarketing and Consumer Fraud and Abuse Prevention Act to cover fraudulent charitable solicitations. Requires any person engaged in telemarketing for the solicitation of charitable contributions, donations, or gifts to disclose promptly and clearly the purpose of the telephone call. (Sec. 1016) Critical Infrastructures Protection Act of 2001 - Declares it is U.S. policy: (1) that any physical or virtual disruption of the operation of the critical infrastructures of the United States be rare, brief, geographically limited in effect, manageable, and minimally detrimental to the economy, human and government services, and U.S. national security; (2) that actions necessary to achieve this policy be carried out in a public-private partnership involving corporate and non-governmental organizations; and (3) to have in place a comprehensive and effective program to ensure the continuity of essential Federal Government functions under all circumstances.